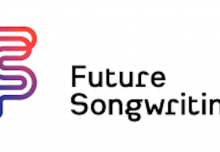 Musical Futures, in partnership with Ableton, are looking to recruit 10 Tech Champion Teachers/Schools from the UK & Ireland to be part of an exciting two-year project involving exploring and developing innovative approaches within their classrooms using music technology. Our Tech Champion programme recognises that music has changed – most music today is created using technology in some way, whether it’s samples, loops and synthesized instruments or using technology to support live performance. In order to make sure that music in schools remains relevant for young people, we need to reflect these interests in the classroom and provide students with opportunities to perform and create the music that they enjoy, like and identify with through the use of authentic tools and processes. 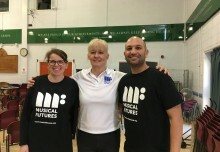 The aims for this project are bold – we want to change the culture of music education within schools to reflect the musical interests of our young people and to engage more students in music making. We are excited about our partnership with Ableton, whose Live software provides a professional platform for artists to create and perform music. It is the performance aspect of Ableton Live that particularly interests us at Musical Futures, as we believe that effective classroom practice involves moving away from the often isolated music technology work of one student working on a computer with a pair of headphones. Ableton Live offers opportunities to explore collaborative music creation and performances, and also provides a platform to explore new repertoire and approaches for classroom ensembles. In addition to providing free software and hardware for the schools, the project will also supply students with free software so that they can continue their learning at home. REGISTER HERE for a Project Information Pack and application form. The closing date for applications is Friday 8th March, 5pm. An opportunity to become part of our delivery team by leading training sessions in year 2.